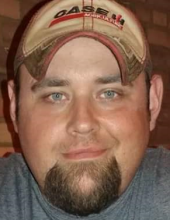 Celebrating the life of Mark Lee Cantrell Jr.
Obituary for Mark Lee Cantrell Jr.
Mark Lee Cantrell Jr. lost his fight with addiction and went to be with the Lord Wednesday, August 29th 2018 at the age of 34. He was born August 4, 1984 in Martin, KY to Mark and Pamela (Triplett) Cantrell. Marky was loved by many and will leave a big hole in many hearts and lives. His greatest joy in life was being a daddy to his daughter Addie. Marky loved his friends and family and loved the outdoors. He liked to fish, hunt, trap, and farm. In addition to his parents he is survived by his daughter Addison Cantrell, grandparents Darrell and Ellen (Sattler) Triplett and Betty Jo (Johnson) Cantrell, sister Amanda Cantrell and nephews Garrett and Gage Davis as well as many aunts, uncles, cousins and friends. He is preceded in death by his grandpa Jimmy Cantrell and great grandma Mary (Loving) Triplett. A memorial service will be held Monday, September 3 at 2 PM at Parker Funeral Home, 210 Medina St. Lodi. Pastor Joe Williams will officiate. Visitation will be 2 hours prior to the service (12-2 PM Monday) at the funeral home. A meal will be provided at Victory Baptist Church following the memorial service. "Email Address" would like to share the life celebration of Mark Lee Cantrell Jr.. Click on the "link" to go to share a favorite memory or leave a condolence message for the family.